Robert Tillman, the self-described “newbie developer,” was on Tuesday foiled again by the San Francisco Board of Supervisors in his efforts to develop a 75-unit building on Mission Street between 25th and 26th streets. It is currently the site of a laundromat he owns. The board voted unanimously to uphold an appeal of the project, saying that not enough analysis has been undertaken regarding the effects of the proposed eight-story structure’s shadows, which it would cast over the playgrounds of a neighboring preschool. That area is slated to be used as public space in the near future. It’s unclear how the city will proceed with the additional review — or how long it will take. Tillman says he plans to sue the city, depending on whether the city can justify the delay through its findings in its additional shadow analysis. “My only alternative, if I want to take this project through, is to file a lawsuit against the city,” he said following Tuesday’s decision. He said that he has exhausted all administrative avenues and has no other option. The decision is only the latest chapter in a fierce battle over whether the 75-unit project — which would price 11 percent of its units as affordable — will ultimately come to fruition. The Planning Commission approved the project in November, but a final green light was delayed at the Board of Supervisors in February, pending a study of whether the building was a historic resource. Under state law, Tillman was allowed to add more units to his project while lowering the overall affordable component to 11 percent, from the 12 percent then required by the city. Many longtime Mission District residents argue that the project will only further the gentrification and displacement in the once predominantly working-class Latino neighborhood — concerns District 9 Supervisor Hillary Ronen ultimately sympathized with at the meeting. Pro-housing advocates, meanwhile, argued that the major hurdles the project has faced are indicative of why housing is drastically underbuilt here. Ronen took issue with the fact that the environmental review, which did analyze the effects of the proposed building’s shadows on the schoolyards, did not consider the shadow’s impacts on the schoolyards when they become public space. This is the plan under the city’s forthcoming Shared Schoolyards Program. The program would open school playgrounds to the general public during non-school hours. The decision followed a public comment session in which the project’s opponents expressed worry over its potential impacts on Zaida T. Rodriguez Preschool, which sits on Bartlett Street behind the proposed site. Opponents argued the constructions will kick up dust and noise, as well as shadows once the project is built. Scott Weaver, a lawyer for the merchant’s association Calle 24, which filed the appeal on the project, argued that the shadows, dust and noise would affect the students at the school. “Has the city done all that it can to make sure the children are safe?” he asked. Weaver also argued that the number of units developed in the Mission has surpassed what is allowed by a city plan for the neighborhood — called the Eastern Neighborhoods Plan — creating no need for the development. Officials from the city’s Planning Department refuted Weaver’s argument. They said that their environmental review concluded that the project’s construction would not have a negative impact on the children – and the shadows would not negatively affect the students. They also said the project was consistent with the city’s interpretation of the Eastern Neighborhoods Plan. Ronen did not take issue with those specific findings. She, instead, focused on shadows on the schoolyard as a potential public space. Before moving to uphold the appeal, however, she indicated that her decision to continue the matter ultimately rested with the community’s concerns. Tillman told Mission Local that his intentions have never been a secret. He said he has, on multiple occasions, offered to sell the land to anyone who wants to use it for affordable housing. For Tillman, however, any affordable housing there would come at a market-rate price. As such, he claims he’s already turned down a not-yet-financed $9 million offer by the Mission Economic Development Agency. Tillman said the offer was only 50 percent of the property’s value. “I want to maximize value on something I own,” he said. But now, to do so, he will have to wait a bit longer. Hillary Ronen really knows how to increase my property value and easily allows me to increase rents on my tenants!!! Chaching! Chaching! Thanks Hillary! Thanks MEDA! Thanks Calle 24!!! I’ll send you a nice Christmas gift. Woohooo! Love ya! Hope you continue to block all developments because that is why I voted for you! Ridiculous – all around! – especially Ronen’s reaction to the shadow study (apparently, shadows will act differently based on whom their shadows are cast, following her logic). Tillman should sue Calle 24 and MEDA for rackateering – colluding to keep the value of his property low. 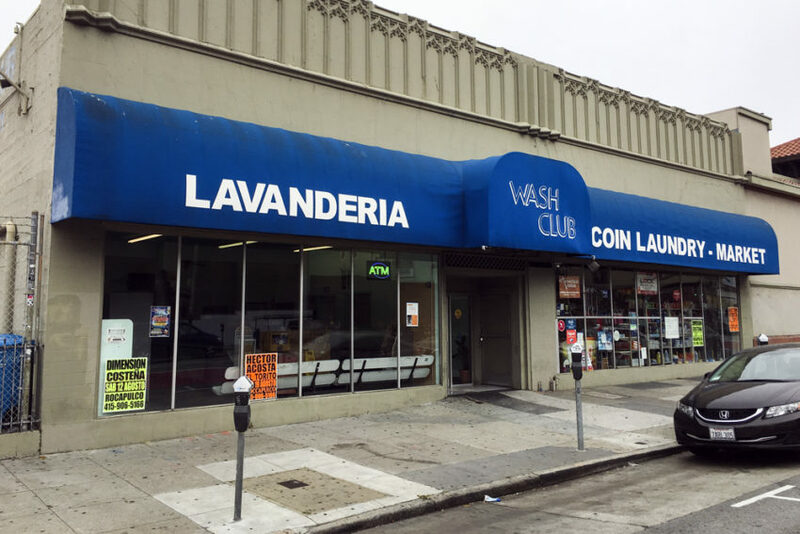 God forbid we lose another laundromat (FYI, there’ s another one not 100 yards away on 25th). Business as usual in the Mission. If the shadows were really an issue why wasn’t this addressed in a prior meeting? You force this guy to jump through 10 hoops, then come up with a BS historic resource argument, then come up with a BS shadow argument. Why aren’t all of these issues adjudicated at once? It’s like double jeopardy except its actually quintuple jeopardy. Either Ronen is grossly incompetent or she is purposely abusing the system to come up with arguments one by one to delay delay delay. Good luck Mr. Tillman! Shame on you Ms. Ronen. Here is what is in the record from the Planning Department regarding my project. Essentially, the Board of Supervisors “made up” a CEQA affect that is not legally a CEQA effect. The City Attorney will have a very hard time drafting the required “findings” to support this decision. Although shadow effects of the Project on non-publically accessible schoolyards are not considered environmental impacts under CEQA, the Project sponsor retained a shadow consultant to prepare a quantitative shadow analysis in accordance with the Department’s shadow analysis methodology that evaluates the shadow effects of the project on the two nearby schoolyards for informational purposes (RWDI, Shadow Analysis 2918 Mission Street, February 7, 2018 – included as Attachment G). The Zaida T. Rodriguez School is comprised of two campuses. The 2950 Mission Street main campus is located to the south of the Project site, and includes an approximately 4,500-square-foot schoolyard located on the western side of the building fronting Osage Alley. The 421 Bartlett Street annex is located across Osage Alley to the west of the Project site, with its approximately 2,000-square-foot schoolyard located on the eastern side of the building, also fronting Osage Alley, as shown in the figure below. I don’t know your financial situation, but could you simply increase the proposed % of affordable units in order to shame them? I checked on twitter and it doesn’t seem the yimby groups are taking up your cause ( I could be wrong ). Maybe they just think the mission is a lost cause, but maybe they dont want to waste political capital on a building with too few affordable units? Oliver, I have strong support from the YIMBY’s. Laura Clarke, Executive Director of YIMBY Action and other YIMBY’s spoke in defense of my project at the hearing. Nevertheless, the YIMBY’s have a difficult mustering as many speakers as does Calle 24. Most of the YIMBY’s actually need to work to support themselves, unlike most of the Calle 24 speakers, and cannot take off half a day to sit in a hearing. The project complies with San Francisco’s Proposition C. I am providing 14.5% on site affordability required by San Francisco on the base 55 unit project, which results in 8 affordable units. There there is no on site required affordability on the 20 units awarded under the State Density Bonus Program. To comply with the State Density Bonus Law, 7 of affordable units (11% of 55 units) are Very Low Income (50% AMI) and 1 of the units is Low Income (55% AMI). I interacted multiple times with four senior San Francisco Unified School District officials regarding may project since January 2016, including the General Counsel, the District Architect, the Director of Facilities Design and the principal of the school (who has since retired). They never once brought up the shadow issue. What they REALLY cared about was increased traffic on Osage Ave., which they use for drop off and pick up of the students, and for passage of the students between the two school campuses. I addressed completely this issue by eliminating parking in my project, thus also eliminating any traffic on Osage Ave. from my project. The San Francisco Unified School District has not taken an official position on the project, and were not an appellant in the CEQA appeal. Thank you Calle 24, MEDA and Supervisor Ronen for standing up to this! It would greatly negatively impact this neighborhood, not only the children at that school, but those of us who live close to this monstrosity. Perhaps if he had left it a few stories shorter like originally planned we wouldn’t be so upset about it. Tillman is greedy, greedy, greedy. Rob, Greed is not a California Environmental Quality Act (CEQA) effect. Nor is the fact that you do not like the building. The project was approved by the Planning Commission on November 30, 2018. Legally, the only thing that the Board of Supervisors were doing yesterday was determining whether the projected complied with CEQA. They made a decision not supported by substantial evidence in the administrative record, as is required by CEQA. In short, they acted unlawfully, however much you approve their actions. I therefore have no choice but to go to court to enforce the law. Go ahead, Tillman, you can eat up your greedy profits with legal fees. Rob, The legal fees are are about 10% of the cost of being shaken down by Calle 24 based on my experience observing many projects in the Mission. Further, it is likely that I will get reimbursed by San Francisco for my legal fees, as there is a legal fees provision under state housing law if I prevail, which is highly likely. Hence, you as a San Francisco tax payer will be paying my legal fees, presuming of course that you are in the group of people who pay any taxes. Actually, State Density Bonus Law — which supersedes the (illegal) BOS action and local laws — is quite clear. Robert Tillman will win his case and the City (i.e. the taxpayers) will be “eating” all legal fees. Robert, would it have been possible to get all of these reviews/studies done back in 2014? If you as the developer asked for shadow impact, historic review, enviromental review, traffic review, etc… are you allowed to get these done upfront if you wanted? Or do you have to wait until someone complains and then do the study? If I were to develop a building in the city, I would just get all of these reviews done immediately. I realize this seems too simplistic so what am I missing? topic will not require further evaluation as part of the proposed project’s environmental review. no shadow study is required. This is absolutely outrageous. We are in a housing crisis and need more housing!!! Robert Tillman, why not cut your building height to be just slightly higher than the two- to three-story norm of the neighborhood (make yours four or five stories)? Why insist on a towering eight stories? Height limits exist for good reasons. Jade, There are two existing buildings within 300 ft. of my site that are the the same height as my proposed project. The site is zoned for 6 stories. Under the State Density Bonus Law, which was put in place to encourage density, the height limit is increased to 8 stories. I am simply building what the law allows on a site that contains no existing housing, no PDR space, and is located one block away from a BART station on a major transit corridor. That is where we are SUPPOSED to build housing, which is desperately needed in San Francisco. Thanks to MEDA for continuing the fight for quality of life in the Mission District! On a side note, and given how hot it’s been in the Mission lately, I would think a little shade would be a welcome effect! And wouldn’t the effects of construction (noise, dust, etc) be the same for a 100% affordable project? ROnen (along with the seeming extortionists at MEDA and Calle 24) has done more to lower housing supply and increase rents than any developer could. It’s no wonder the monied progressives continue to support her! Pat, You are exactly right. The morning of the Tuesday Board of Supervisors hearing on my project I received a call from Hillary Ronen asking if I would sell my project for 100% affordable housing. As I have always said publicly since my first community meeting on January 6, 2016, I told her that I would do so, provided that I received fair market value for a fully entitled market rate project. It appears 1296 Shotwell is 9 stories. And this project would be 6 stories? Sorry, I just re-read article–this project would be 8 stories, 6 plus 2 bonus stories.